NBC news reported the results of a study by the auto research firm Polk which revealed the average age of road-worthy vehicles in the U.S. has plateaued at a record high of 11.4 years. With better automotive technology and the remnants of a hard-hitting economic recession, people are investing in upkeep and auto repairs in Fairfax Station, VA, instead of buying brand new vehicles This one fact sends a cascade of auto repairs rippling through the our area. The average cost of auto repairs in Fairfax Station, VA, is $1,927 according to Audatex, an independent research firm that supplies automotive data to insurance companies, repair shops, and the government. When you open your wallet and spend that money, how do you know you are getting a good value for your auto repair dollars? One way is to visit the reliable ASE-certified mechanics at Wiygul Automotive Clinic. Since 1996 the dependable service technicians at Wiygul Automotive Clinic have delivered cost-effective, quality auto repairs to Fairfax Station, VA, drivers to keep their vehicles in peak performance. By focusing on preventive maintenance and performing smaller repairs as they are needed, we help our clients save money while ensuring their vehicles are safe and reliable. The true cost of disregarding maintenance and simple auto repairs in Fairfax Station, VA, can include more expensive auto repair bills for bad brakes, failed emissions, transmission issues, electrical problems and engine failure. Why let your vehicle fall into a state of disrepair? any issues with your vehicle engine. 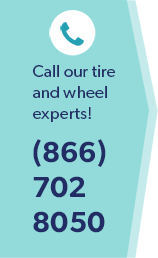 A properly maintained vehicle and timely auto repairs in Fairfax Station VA, can prolong the serviceable life of your car and keep you, your passengers, and others using the roads safe from harm. With an on-site Virginia state inspection station, a Goodyear Tire Center, and a commitment to providing the best possible auto service and auto repairs for our Fairfax Station, VA, drivers, Wiygul Automotive Clinic is your local, independent service station providing the services and auto repairs you need to stay safe on the road.